Welcome to the fifth issue of The Black Cat and the Black Cat Project! Happily, no. 5 was not missing pages, though some of the scanning was iffy. While in Paris, Richard Burwell is given a card written in purple ink by a beautiful woman. Burwell doesn’t read French and everyone he shows the card to has a very bad reaction to it. He’s driven from his hotel and ultimately from France. When he shows it to his wife and his best childhood friend, they both disown him. And alas, the beautiful woman dies before she can tell him the meaning of it. It’s all very melodramatic. Cleveland Moffett was a journalist and writer of some note. 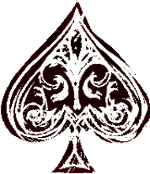 “The Mysterious Card” was his first story and brought him some note mainly due to the unresolved aspect of the mystery. Alas, the literary shenanigans don’t work for me. Tang-u is a Chinese boy who ends up on a Japanese naval ship (during, I assume, the First Sino-Japanese War). He is of rat-catcher “heritage” which means his eyes are very keen even in the dark. And this is the brief story of how he becomes an honorary admiral in the Japanese navy due to those attributes. A friend finds Mr. Paul Fancourt in a state. What’s wrong? Fancourt tells of his marriage to the lovely and tempestuous Leila. His wife’s temper drove him away for five years and, when he returned, Leila was a different woman. Possibly quite literally. This is Clarice Clinghan’s second story for The Black Cat. Her first, “The Wedding Tombstone,” was my favorite of issue no. 2. This was my favorite of the month. “The Prince Ward” was the longest story of the issue, a spine-tingling tale about a haunted hospital ward. Often hospital hauntings is due to, not surprisingly, the suffering and death of sick people, but here Girardeau gives us a spurned wife who is surprisingly sick and suddenly dies. There are maybe shades of Charlotte Perkins’ “The Yellow Wallpaper” and a few chilling moments, but the writing is very clunky. The Great Man, a young train baron, is visited by a little girl who is wandering around the train while they are delayed at the station. The little girl is dressed as a princess (which I thought was a much more modern thing). She tells the Great Man about the Queen she knows who is very sad. Of course, the Queen isn’t a queen, she’s an actress. But she is sad—the train delay will cause them to miss an important performance and she’s has a lost love who looked down on her career because he’s a business man, but she misses him. The Great Man realizes that he knows who the Queen is and what he can do to make her happy. No ads in this issue, but at least the issue was complete! Want to read for yourself? This book was provided to me by the author (and NetGalley) for review consideration. This is the second book in the Detective Hiroshi series. I read the first book The Last Train in May of 2017 and enjoyed it. The Moving Blade picks up in the aftermath of the first, but a new reader wouldn’t be lost picking up this book. A moving blade is unseen, hidden in the blur of motion, felt but not perceived. While Pronko’s Tokyo is still very vivid, I enjoyed the characters more than the setting this time around. I really like that Hiroshi’s forte is sorting through data. It’s office-bound work that doesn’t get a lot of play in detective novels for maybe obvious reasons. Here, though, it works narratively. Hiroshi is always trying to balance his preferred work with the necessity of leaving the office. My two favorite supporting characters from the first book—ex-sumo Sakaguchi and assistant Akiko—are both given expanded roles because one man can’t do everything. The slightly beyond-the-law Takamatsu, who annoyed me a little in The Last Train, has been suspended from the police force, and given a lesser role which probably works better for the character. Something that is possibly endearing to only me: the characters eat often. Characters meet and talk at bars and restaurants, which people do. To recuse myself, I probably have an affinity for this because it’s something characters do in my writings. The plot held together really well. 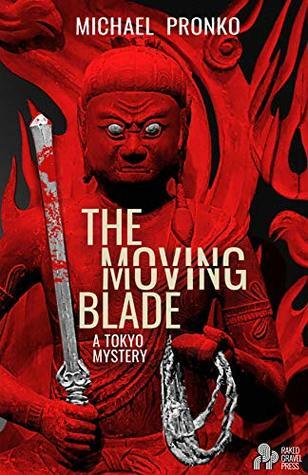 While The Moving Blade goes bigger in terms of socio-politics, it’s still at heart a murder mystery. The story never loses sight of that. I enjoyed the bigger scope without this becoming an out-and-out thriller. I had a couple minor quibbles (like a porter on a train not smelling and being suspicious of a man who had been pepper sprayed), but one major one. At a couple times during the story, characters turn off cellphones or do not return messages…for reasons. These instances aren’t entirely used to drive plot (thank goodness), but they are obstacles that could easily be avoided and therefore kind of chafe. The reasons given later for the behaviors are okay, but we’re in the middle of a murder investigation—return your calls! Despite the above, I really enjoyed The Moving Blade. Pronko again brought Tokyo (at least a version of it) to life for me and peopled it with good characters doing interesting things. That’s pretty much a trifecta for me. 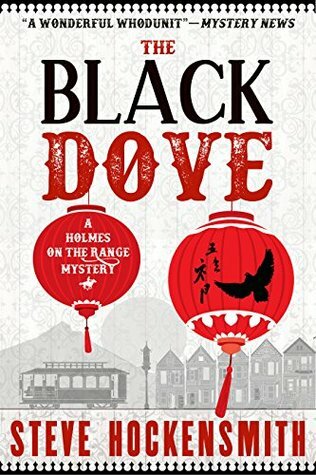 Holmes On the Range Mystery #3 – I know, look at me reading all the series! Big Red and Old Red Amlingmeyer end up “deducifying” in Gold Rush San Francisco, looking to solve the mystery of Dr. Chan’s death. Hockensmith does a good job of keeping these mysteries fresh; changing up the settings while staying true to the Old West. I listened to this on audio; the dialog shines with William Dufris. Think of every ocean/undersea adventure ever. Toothy whales? Check. Giant squids? Check. Antarctic sailing? Check. Atlantis? Check. Island of savages? Well, check. Generally, I really enjoyed this book. Published in 1870 (1872 in English), Verne revels in science. 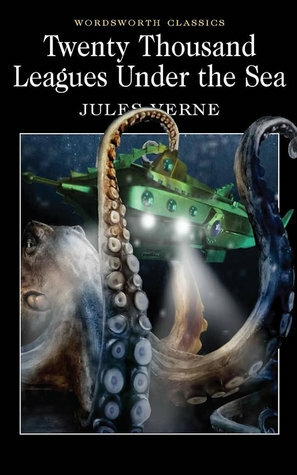 The submarine, the underwater breathing apparatuses, the natural classifications of so much aquatic life—all of it gets good press. Honestly, the only bits I glazed over during were discussions of where the Nautilus was and where it was going. Seaman, I ain’t. I bought this last summer at The Old Sage Bookshop in Prescott. There are just 14 days until a deadly asteroid hits the planet, and America has fallen into chaos. Citizens have barricaded themselves inside basements, emergency shelters, and big-box retail stores. Cash is worthless; bottled water is valuable beyond measure. All over the world, everyone is bracing for the end. But Detective Hank Palace still has one last case to solve. His beloved sister Nico was last seen in the company of suspicious radicals, armed with heavy artillery and a plan to save humanity. Hank’s search for Nico takes him from Massachusetts to Ohio, from abandoned zoos and fast food restaurants to a deserted police station where he uncovers evidence of a brutal crime. With time running out, Hank follows the clues to a series of earth-shattering revelations. This is the third book in the trilogy. 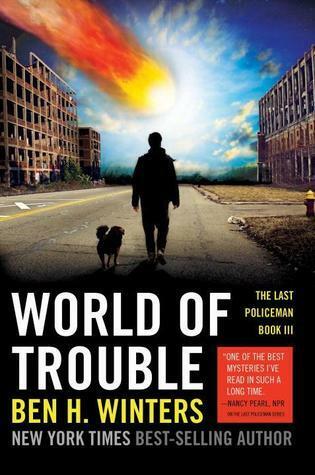 I enjoyed the first two and I was interested in how Winters was going to wrap up a story set at the end of the world. There are a lot of post-apocalypse stories, but there aren’t many pre-apocalypse stories. I’d argue that’s because the end of the world is the least interesting part of the whole deal. Therefore, if you’re going to set a story at the apocalypse, the story itself has to be solid. Winters does a great job telling a story that would have been good even without an asteroid hurtling toward earth. The feel of this installment reminded me of the movie Looper. The characters in both act in the inevitable way they should. Both are noir, but take off into a rural setting. I like that juxtaposition. Both also have a speculative fiction future setting that isn’t the story itself. I’ve said it before but I like Hank Palace. I like his dogged determination and his loyalty. Which is why it’s pretty heartbreaking when he’s wrong about a few things. I’m going to avoid spoilers, but Hank is a little dense at times in this book. It’s understandable, but weirdly disappointing. The characters in this book take beatings. And stabbings. And burnings. Sometimes, I had a hard time believing that anyone could survive such abuse. I suppose it’s not impossible, but it gives me pause. There are so many times when I thought to myself, “Winters isn’t going to pull this off. He’s going to screw up the ending.” But he doesn’t. The meanderings of plot are all justified. The ending is spot-on. I don’t read a lot of series fiction and I finish even less. I’m going to miss Henry Palace. This is the fifth Eli Marks Mystery. I’ve read and enjoyed the previous four; why wouldn’t I read this one? The Magic: As always, the magic is handled very well. Eli inherits (figuratively) not only a gig from the murdered magician, but a stage manager and talented assistant as well. If there are more Marks mysteries, I hope Nimisha becomes a regular character. I’m always in favor of more female magician characters. The Mystery: Don’t get me wrong, the mystery is solid. The clues and connections are all there. Eli figures it out and we build to a thrilling conclusion. But sometimes the mystery takes a backseat to the characters and their interactions. And that’s okay: these are characters I want to spend time with. The Eli Marks series features fun characters, magic (the real kind, not the fantasy kind), and great mystery plots. Still going strong after five books. Alan Turing was an interesting guy and I’ve been wanting to read more about him since being pretty disappointed with the movie The Imitation Game. Unfortunately, I think I originally believed that this was a nonfiction work, which it isn’t. 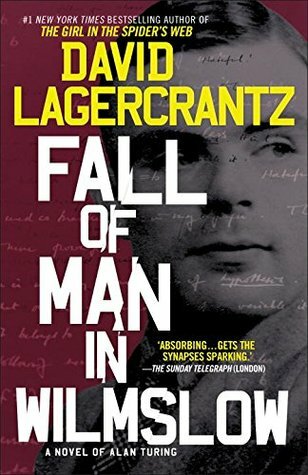 Lagercrantz does a good job with the setting. He needs a repressed, tattered, paranoid 1950s England, and that’s certainly what we get. The book also slips into some rather lengthy passages about mathematics that aren’t too confusing, though I’m only assuming that the information is correct. The main character, Corell, studied mathematics in his past, and his delves into the subject seemingly give him some insight into Turing. It’s an interesting way to look into the character of Turing, though I’m not sure it was entirely satisfying for someone (me) who wanted more of a factual character sketch. It took the majority of the book to get to the actual plot—a noir-ish bit of spy story. Yeah, the mathematics is a great way of getting to know Turing, but it ended up being a bit long. I also didn’t quite buy Corell’s character development. It felt too rushed, squashed into the last forty pages of the book after being in a holding pattern. As is always the case with translations, I wonder if some of the occasional clunkiness of Corell might be due to English word choice. Regardless, this book did pull me along. If you don’t mind some digressions into mathematics (as a philosophical endeavor), give it a try. 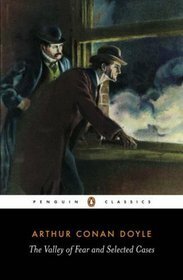 In the narrative chronology, the story immediately after The Valley of Fear is “A Scandal in Bohemia.” The second Holmes story published (I believe), “Scandal” is one of the most beloved Holmes mysteries and for good reason. The language and the story sparkle. In comparison, the Holmes portion of Fear feels workman-like and the melodramatic American section feels like a story Doyle would rather be telling. End of the day, The Valley of Fear *is* Sherlock Holmes and it does add to the cannon with Moriarty tidbits. It’s a bit better than many of the secondary works that will come later when Doyle finally does write his last Holmes story.